Georgetown, CO – The U.S. 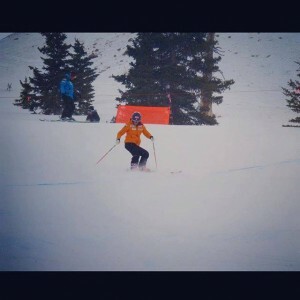 Ski Team’s Mikaela Shiffrin was back on skis on Saturday at Colorado’s Loveland Ski Area, the first time in eight weeks since suffering a bone bruise, hairline fracture and partially torn ligament in her right knee in December. 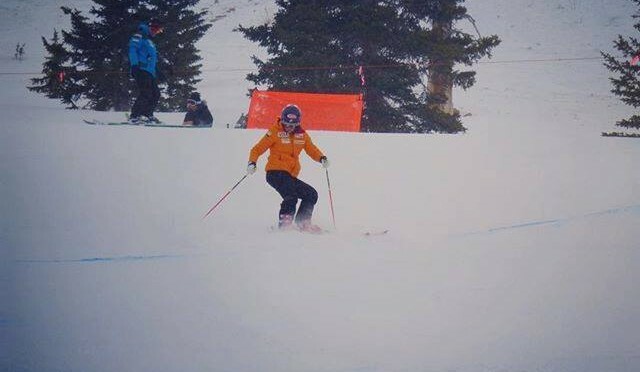 Shiffin sustained the knee injury on Dec. 12 while training for the FIS Alpine Ski World Cup in Åre, Sweden. The technical specialist is now targeting a return to World Cup competition when the tour swings into Andorra later this month. Shiffrin visited Loveland en route to the annual SnowSports Industries America (SIA) trade show in Denver, where she helped to present the 2016 SIA Doc DesRoches Award to her gear sponsor, Atomic Skis.